Girl reunited with parents 17 years after hospital kidnapping. Abducted girl was living just a few kilometres from her biological parents. A newborn was kidnapped from a Cape Town hospital in 1997 but her parents never gave up hope and now, 17 years later, they have found her. The family had always celebrated their missing daughter's birthday on April 28, and following her remarkable discovery the girls' biological family is planning a festive celebration for her first birthday with them. "We have to plan something very big," the girl's aunt told South Africa's Cape Talk radio station after it reported that DNA tests confirmed she was the child kidnapped from the Groote Schuur Hospital. A 50-year-old woman was arrested and appeared in court Friday on charges of kidnapping and fraudulently pretending to the child's biological mother, police spokesman Andre Traut said. The woman will again appear in court on March 6, after she has gone through an identity parade, according to the South African Press Association. The girl, who turns 18 in April, was raised by the arrested woman and her husband as their only child. She was living just a couple kilometres from her biological parents but, as the Cape Argus newspaper reports, the amazing discovery happened by chance when she became friends with her younger biological sister, when they attended the same school. "There was just an incredible connection," her aunt told the radio station. 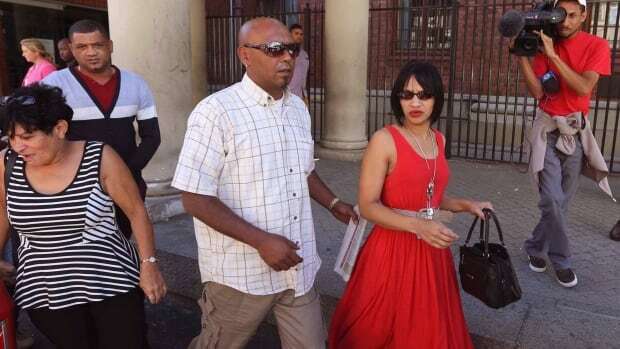 The police found that the couple claiming to be the teenager's parents could not prove she was their biological daughter, and DNA tests were carried out, the Cape Argus reported. Biological mother and daughter were reunited for the first time on Thursday, the mother weeping, the child's elated aunt told the Cape Talk radio station. "When she saw (her) yesterday, she knew, `This is my child.' She said DNA wasn't necessary, she just knew," the child's aunt told the radio station. The child's biological mother has given a number of interviews in the years since the kidnapping, often when other babies were snatched. Recovering from the birth of her first child 17 years ago, the mother woke up to find a woman dressed as a nurse sitting by her hospital bed, her newborn baby still in the cot, she told the Cape Times in 2011. She drifted off, groggy from the cesarean section operation. "When I woke up there was a nurse saying my child is gone. You can't imagine the feeling," she told the newspaper. "I just hope one day someone will realize something or see something and bring her back to us." The girl's parents had three other children, but continued their search for their eldest daughter, never giving up hope. "I'll never, ever give up hope. I can feel it in my gut — my daughter is out there and she is going to come home," the father told the Weekend Argus newspaper five years ago. The family threw a birthday party for their kidnapped daughter each year, her siblings blowing out the candles on her cake. The girl has not been identified by The Associated Press because she is a minor and a judge has ruled that the press should not publish the name under which she was raised. She is still in the custody of social services, according to police, but as soon as she is home, her newly-found family plan to celebrate her birthday with her for the first time.